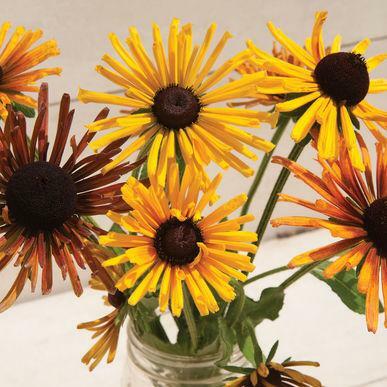 Yes indeed, be as lucky as a chimney sweep with this fun Rudbeckia. Flower petals are the tubular quilled type radiating from dark brown centers. Flower colors range from sunny yellow to rich mahogany. If you're lucky, they may reseed.